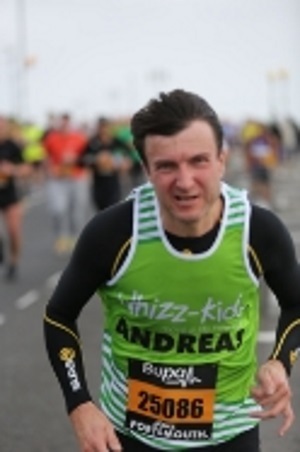 One of our trustees Andreas Haimboek-Tichy is running for UCanDoIT in this year’s London Marathon on 26 April 2015. Stephen Fry has a few words of support for Andreas, in this video. Please show your encouragement by making a donation and helping him achieve his target of £2,000. This entry was posted in Announcements, Disability, Events, Our mission and tagged accessibility, Disabilities, Disability, Disabled, fundraising, giving, independence, Internet access, marathon. Bookmark the permalink.